Student senate affirmed President Bresciani on Sunday. 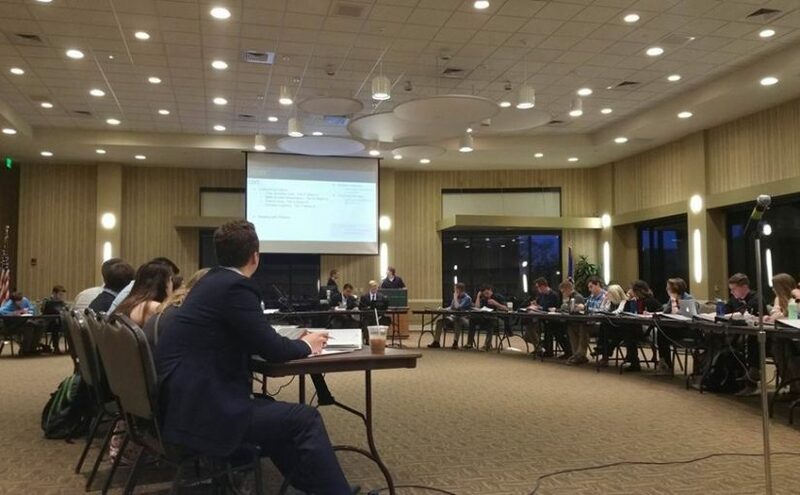 North Dakota State’s student senate passed a resolution in support of extending NDSU President Dean Bresciani’s contract with a 27-0 vote with two abstaining members at its weekly meeting Sunday. The resolution was not passed without discussion, though. 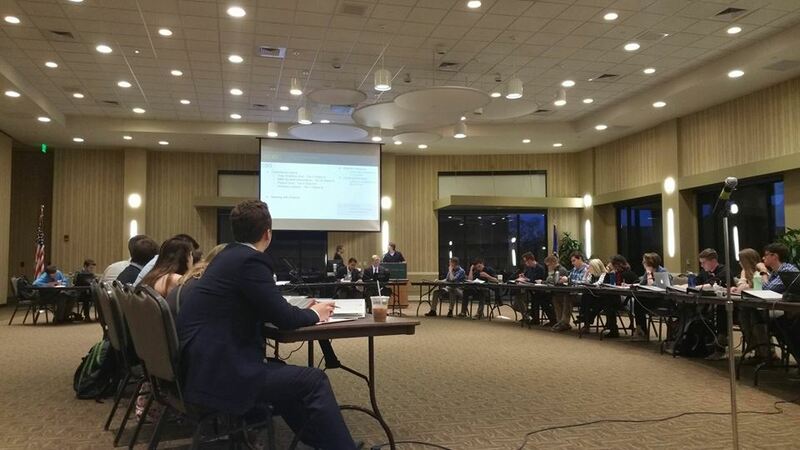 This was the third consecutive week in which student senate discussed the resolution. Before discussion began, student body vice president Anuj Teotia said to senators that when they vote it’s not just for themselves, but for their 450 or more constituents as well. Student senator representing the residence halls Nate Thoreson said if the resolution passed, it would show the North Dakota State Board of Higher Education the student body, through student government, supports Bresciani. He added if a resolution were not to pass, it could end Bresciani’s career as well as his drive to do good for NDSU for the remainder of his contract. Sydney Arends, student senator from the College of Health Professions, said the national average for a college president to be in office is eight years, and Bresciani is currently at about five and a half years. She added as she is trying to get an expansion of Sudro Hall pushed through the legislature, Bresciani’s leadership is needed to work with lobbying in Bismarck. Roll call voting to end discussion on the resolution occurred twice, with the first unable to obtain a 50 percent majority. Calla Harper, a student senator representing the residence halls, said though her constituents want to see better communication between Bresciani and his colleagues, she doesn’t want a blogger to “run our college for us,” referring to Forum Communications blogger Rob Port and his stance at removing Bresciani. The Forum’s editorial board called for Bresciani’s removal earlier this summer. Senators Asif Arshid and Eduardo Faundez, both representing graduate studies, abstained from voting. Arshid said in discussion of the resolution that his constituents have no opinion on Bresciani. When talking to his constituents that have attended NDSU since former president Joseph Chapman was in office, though, he said they think Bresciani is doing a good job. In response to Arshid, Arends said if constituents don’t have an opinion, that should not be constituted as a no vote but rather an abstention. Vice chair of the senate Brendan Curran added that voting senators should use their best judgement for their constituents. Executive finance commissioner Mason Wenzel said from a financial structure, keeping Bresciani around keeps things more stable. Amendments to the bill were passed without objection prior to discussion on the resolution. Those amendments included changing senators Kim Ellwein and Nate Thoreson’s names to have proper spelling as well as removing the word “fully” from resolution, as the senate concluded that saying full approval would have to constitute a unanimous vote in favor of the resolution. Student body president Spencer Moir began his weekly remarks by recognizing the loss of the Dakota Marker trophy. He then discussed the Campus of Respect email sent by Bresciani Friday. “One email isn’t going to stop inappropriate behavior,” Moir said, adding that it will take time for certain phrases to phase out. Arshid asked if a new slogan can be developed and for the game commentators to change their words to prevent students from saying the phrase in question. Moir said there would be a meeting with yell leaders and “someone in athletics” after the media attention to the issue dies down. Moir said the first Student Fee Advisory Board meeting will occur Thursday, giving SFAB members a “general overview” of the board.